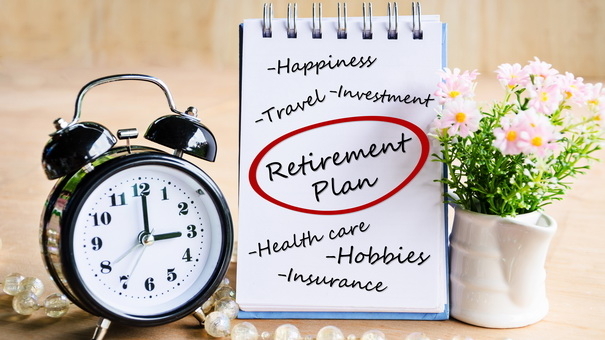 Retiring is an amorphous and complicated goal — which means retirement planning attracts more than its fair share of plausible-sounding myths. Unfortunately, these myths, misconceptions, mistakes, and misbegotten rules of thumb can seriously lead you astray on your path to a well-funded and fulfilling retirement. Don’t fall for any of the following common myths about money in retirement. This particular myth holds a unique distinction in that it is wrong in both directions: $1 million is both not nearly enough money for the retirement you’re dreaming of, and way too high a number for most people to achieve. On one hand, $1 million doesn’t go nearly as far as it once did. If you plan for a grand retirement that involves traveling, fine dining, entertainment, and general living-it-up, you will probably find that a $1 million nest egg will not cover all you want to do. In fact, depending on your cost of living and other circumstances, it’s entirely possible you could exhaust $1 million with relatively modest retirement spending. On the other hand, $1 million is a number that is out of reach for the majority of workers. According to a 2016 GoBankingRates survey, 33 percent of Americans have nothing saved for retirement at all. For most Americans, the idea of saving $1 million for retirement may sound too overwhelming to even think about, and they may give up on the idea of saving altogether. This myth actually has a specific start date. Financial adviser William Bengen proposed this rule in 1994 as a potentially safe withdrawal rate for retirees to make sure their money would comfortably last for the rest of their lives. He based his proposal on historical market data and predictions over where the markets would go in the next 20 years. Here’s how the rule works: Historically, the rate of return on stocks generally hovers around 10 percent. That means a retiree can take 4 percent of their assets each year to live on, without ever touching the principal and still seeing growth each year. For a retiree with a $1 million nest egg, that means $40,000 would be available each year for living expenses, without ever dipping into the $1 million itself. There is no problem with the 4 percent rule when the market is doing well. The problem with this rule is that it doesn’t work during market downturns. In 2008, the market saw a 30 percent decrease overall. Any withdrawals a retiree made during that time took a permanent bite out of their nest egg. Such a retiree either had to accept that permanent bite, or learn to live on less (or nothing) until the market bounced back. This is why it’s a good idea to diversify so that you have some more stable and liquid investments you can count on in bad years, as well as long-term investments that can continue to grow (and recover) over time. After paying into Social Security all your life, it’s natural to expect the benefits to take care of you in retirement. But Social Security benefits are not now and were never meant to be a primary source of income in retirement. The program was begun in order to provide a safety net to keep seniors from abject poverty. Something that comes as a nasty surprise to retirees is the fact that Medicare covers less than you might think — and health care in retirement costs more than you might realize. Long-term care (the nonmedical help that an otherwise healthy senior might need for daily living). Routine dental or eye care. Hearing aids and exams for fitting them. One of the few benefits of no longer drawing a paycheck is the fact that you don’t have to see Uncle Sam take a cut from it. You may think that once you’re retired, all your money is yours free and clear, and the taxman will finally leave you alone. It doesn’t quite work that way. First, you are going to owe taxes on any money you take out from tax-deferred retirement accounts. Since retirees often have fewer federal deductions and dependents to claim, that means you could be paying a greater percentage of your income to taxes. And don’t forget that once you reach age 70½, you will have to take required minimum distributions, which means the size of your distribution (and therefore the size of the tax bite) isn’t entirely up to you. In addition, depending on your retirement income, you may also owe taxes on your Social Security benefits. Altogether, it’s good to remember that the taxman always cometh for you. The myths about money in retirement are generally more pleasant than the reality. But as tough as it may be to swallow the truth about how much you need, how much you can withdraw, and how much the government plans to giveth and taketh away, it is far better to be clear-eyed and prepared.